Marge Piercy, “The Low Road” from The Moon Is Always Female. (1 page PDF*: The Low Road Piercy). (bio). Charles Payne, “Slow and Respectful Work: Organizers and Organizing”, Chapter 8 of I’ve Got the Light of Freedom: The Organizing Tradition and the Mississippi Freedom Struggle. (30 page PDF: Payne Slow Respectful Work). (bio). Rinku Sen, “Community Organizing—Yesterday and Today” from Stir It Up. (29 page PDF: Community Organizing Yesterday Today Sen). (bio). Chris Day, “Dual Power in the Selva Lacandon”, Love and Rage Federation Bulletin, May 1998, reprinted from pp. 17–31 of Roy San Filippo, ed., A New World in Our Hearts: Eight Years of Writing from the Love and Rage Anarchist Federation. (15 page PDF: San Filipo Dual Power). (bio). Miriam Ching Yoon Louie, “‘Just in Time’ Guerrilla Warriors” from Sweatshop Warriors: Immigrant Women Workers Take on the Global Factory. (32 page PDF: Louie Just In Time). (bio). Ruckus Society, Action Framework (2 page PDF: Ruckus actionframework and on the web at ruckus.org. Carol Mueller, “Ella Baker and the Origins of Participatory Democracy” from Vicki Crawford, Jacqueline Rouse and Barbara Woods, Women in the Civil Rights Movement: Trailblazers and Torch Bearers 1941–1965. (15 page PDF: Mueller Ella Baker and origins of participatory democracy). (bio). Christopher Day was a leader in the Love and Rage Revolutionary Anarchist Federation in the 1990s. Love and Rage was a U.S. based North American continental anarchist organization that advocated a left politics that united feminism, queer liberation, anti-racism, anti-imperialism, and anarcho-socialism. Christopher Day continued his organizing with the multiracial, working class-based, Student Liberation Action Movement (SLAM) at City University of New York (CUNY). Today he is a father and continues to write analysis of socialist politics and social movements. Ching Louie was a founding member of the Women of Color Resource Center (WCRC) and was the national campaign media coordinator of Asian Immigrant Women Advocates and Fuerza Unida. 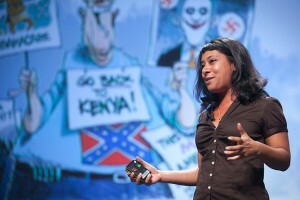 She also worked on the BRIDGE popular education project of the National Network for Immigrant and Refugee Rights. She is currently working on her first novel, Aiguh! Mental Illness Can Drive You Nuts. Carol Mueller is professor of sociology in the Department of Social and Behavioral Sciences at Arizona State University West. She is the co-editor of The Women’s Movement in the United States and Western Europe: Feminist Consciousness, Political Opportunity and Public Policy and editor of The Politics of the Gender Gap: The Social Construction of Political Influence. Her articles have been published in journals such as Public Opinion Quarterly, Social Forces, and Women and Politics. She received her B.A. from the University of California, Berkeley, her M.A. from Rutgers University, and her PhD in Sociology from Cornell University. 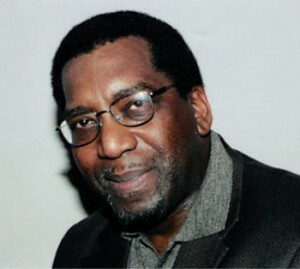 Charles Payne received a Bachelor’s Degree in Afro-American studies from Syracuse University in 1970 and a PhD in sociology from Northwestern University in 1976. He has held professorial positions and endowed chairs at numerous American institutions. Payne has been active in the creation and direction of several organizations intended to address issues of social justice. He is the founding director of the Urban Education Project in Orange, N.J., a community-based effort to provide advanced career training for local youth. His other projects have included the Duke Curriculum Project, the Education for Liberators Network, and work with the Chicago Algebra Project and the Committee for the Consortium on Chicago School Research. His most recent books are So Much Reform, So Little Change (Harvard Education Publication Group, 2008) and an anthology about the African-American tradition of education for liberation entitled Teach Freedom. 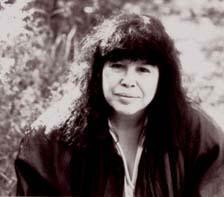 Marge Piercy is a passionate poet and author who draws ideas from experiences in her past and her writing is reflective of those specific experiences. Originally from Detroit, Piercy was born to working-class parents, in a family struggling through the Depression. Piercy was raised Jewish by her family. She attended the University of Michigan after she won a scholarship, making her the very first member of her family to attend college. Even before she started writing seriously, Piercy’s mother introduced her to the ideas of becoming a strong and independent woman. These ideas highly influenced Piercy and the topics she writes about. Throughout her life, Piercy continued to take interest in political and feministic activism, which strongly influenced her writing style. The issues that Piercy supports and fights for contribute to the passion that is detectable in her writing. Rinku Sen “is the President and Executive Director of the Applied Research Center (ARC) and the publisher of Colorlines.com. … Over the course of her career, she has combined journalism and activism to make social change. Rinku is the author of Stir It Up, a primer on best practices in community organizing, and The Accidental American, a book about Moroccan immigrant Fekkak Mamdouh, who co-founded the Restaurant Opportunities Center of New York in the aftermath of September 11. [She] lives in Queens, New York. Rinku started her organizing career as a student activist at Brown University, fighting race, gender and class discrimination on campuses. She received a B.A. in Women’s Studies in 1988 and an M.S. in Journalism at Columbia University in 2005. A native of India, Rinku grew up in the northeastern factory towns, and learned to speak English in a two-room schoolhouse.” – Applied Research Center.